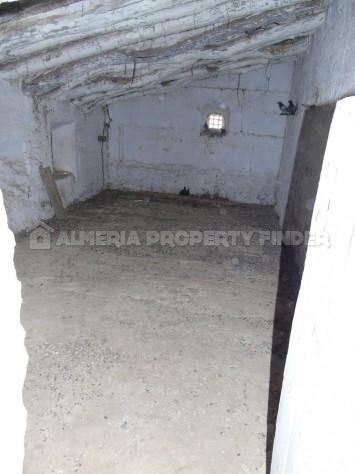 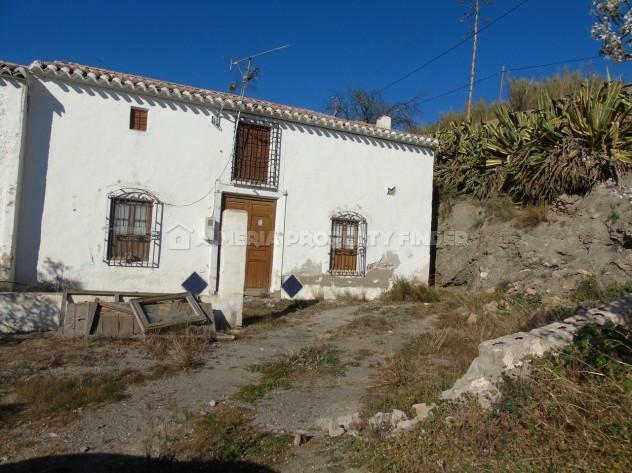 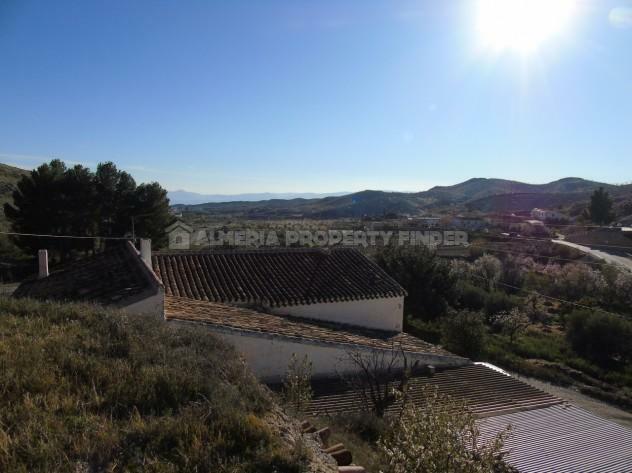 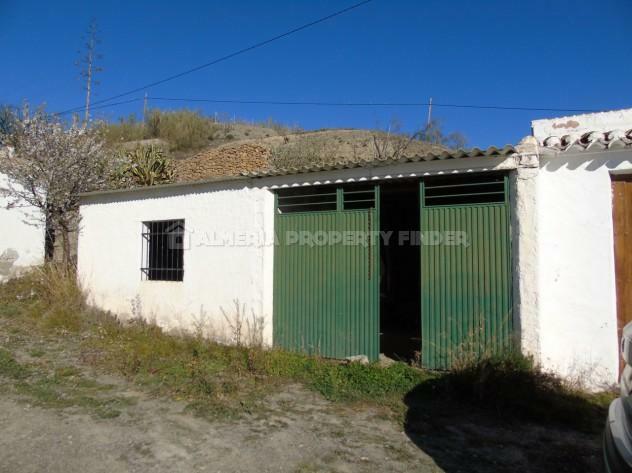 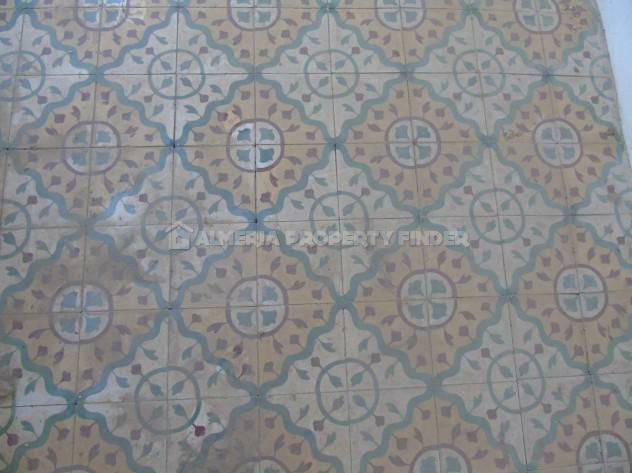 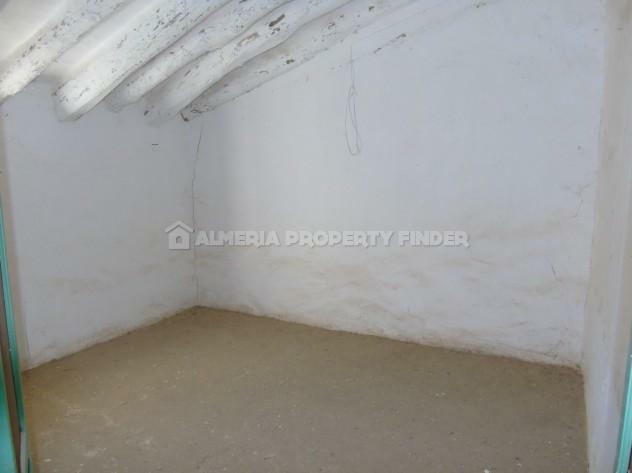 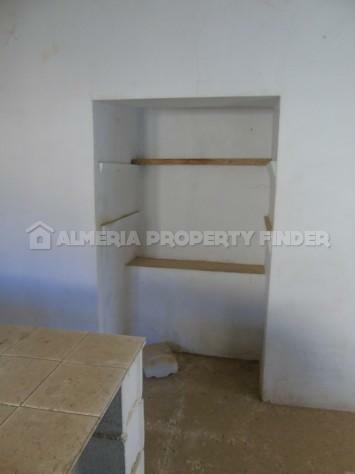 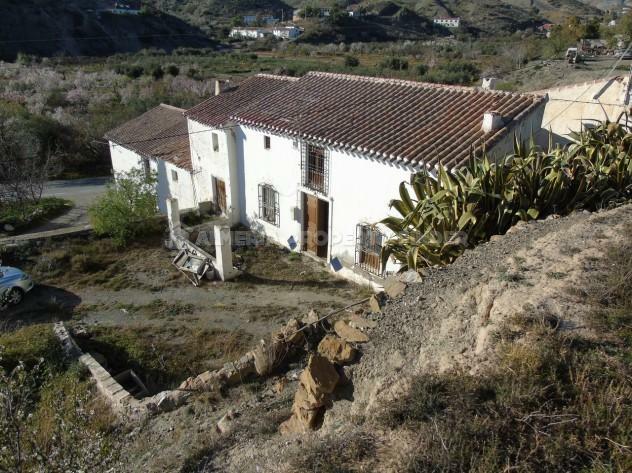 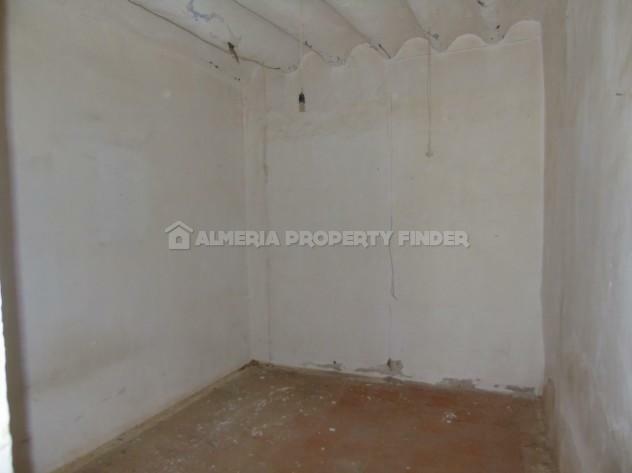 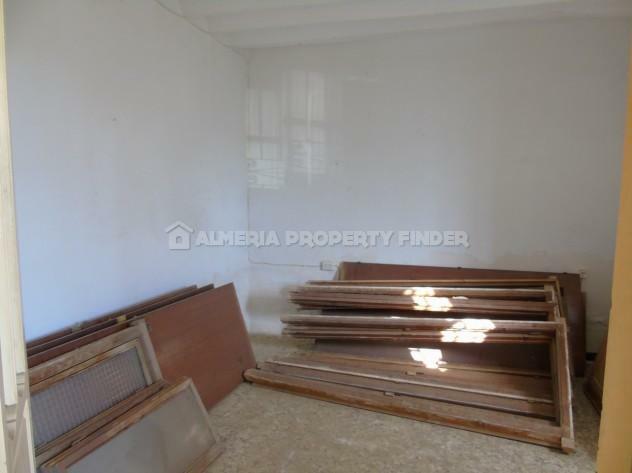 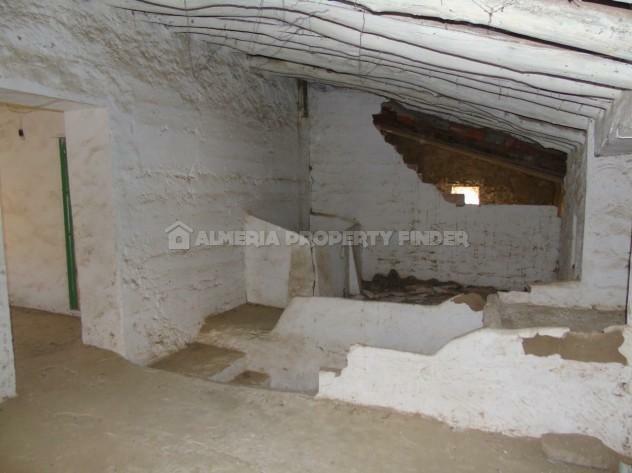 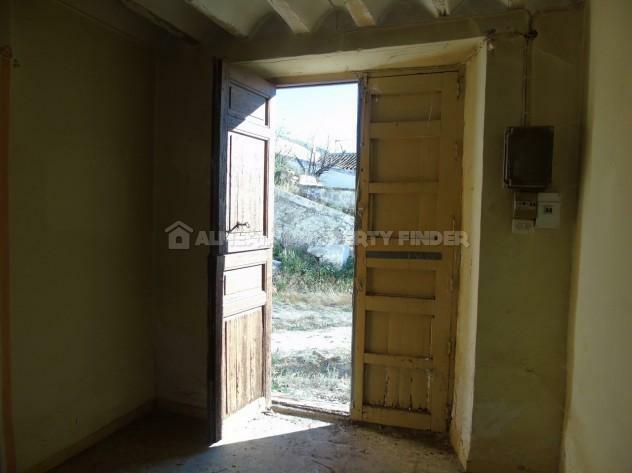 Semi-detached 4 bedroom cortijo with garage for sale in Almeria Province, situated in the Saliente area within walking distance of a popular bar / restaurant. 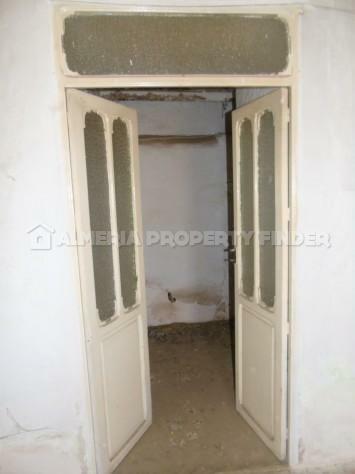 Original double wooden doors open into a hallway with high ceilings. 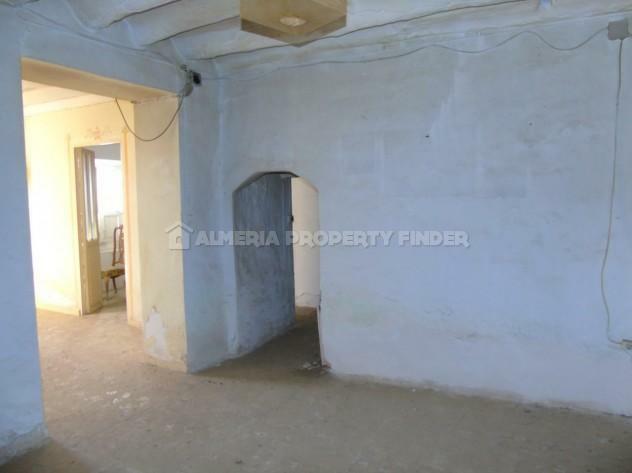 Double doors on the right open into a large bedroom, and to the left double doors open into another double bedroom with original floor tiles and a door leading through to another room with an under-stairs storage area. 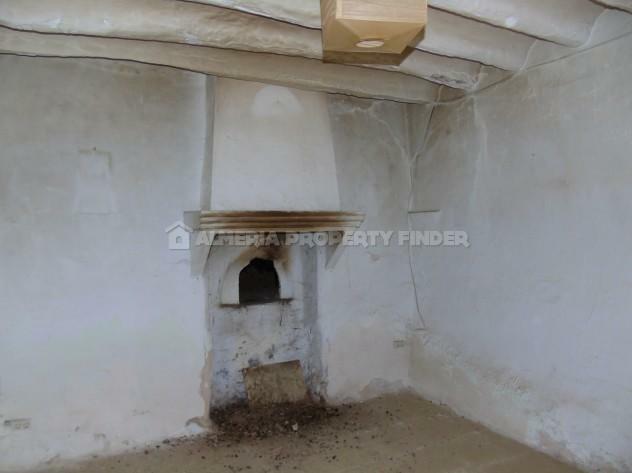 From the hallway, an opening leads through to a room with fireplace housing a bread oven. 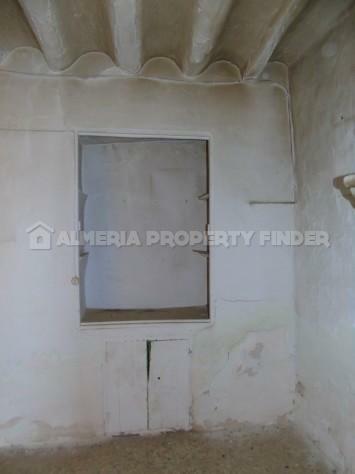 Double glazed doors lead through to a small passageway which gives access to a room formerly used as a kitchen with access to a small courtyard. 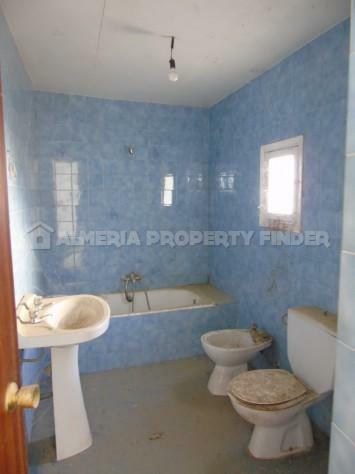 To the end of this room is a bathroom with bath tub, WC, bidet and pedestal basin. 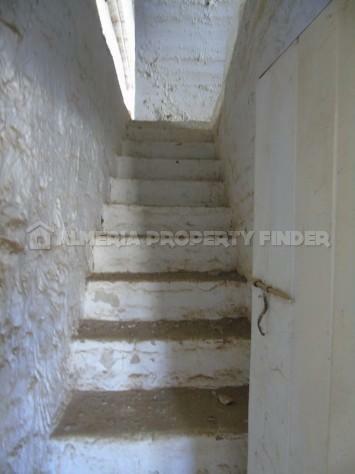 A door gives access to stairs to the first floor where the roof is in good condition and offers a good height throughout. 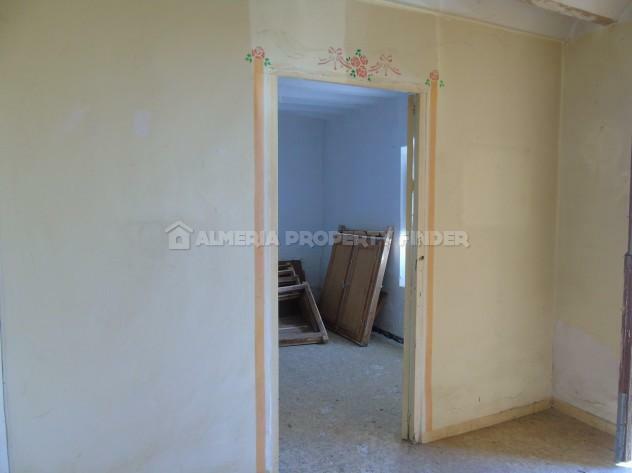 It currently comprises three good sized rooms and one smaller room. 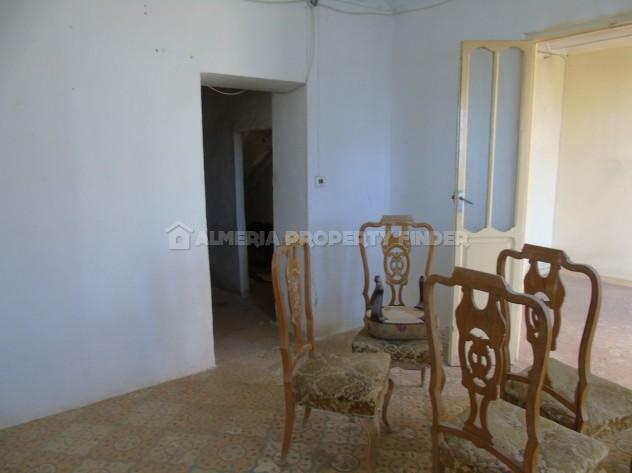 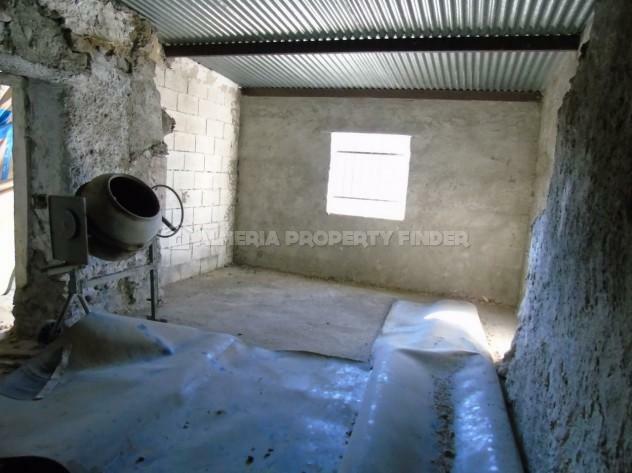 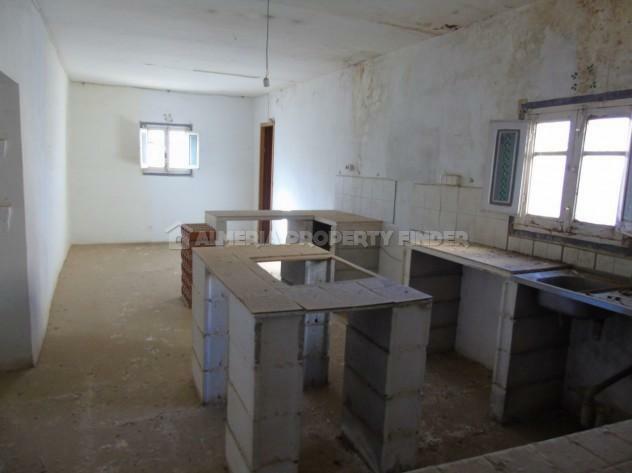 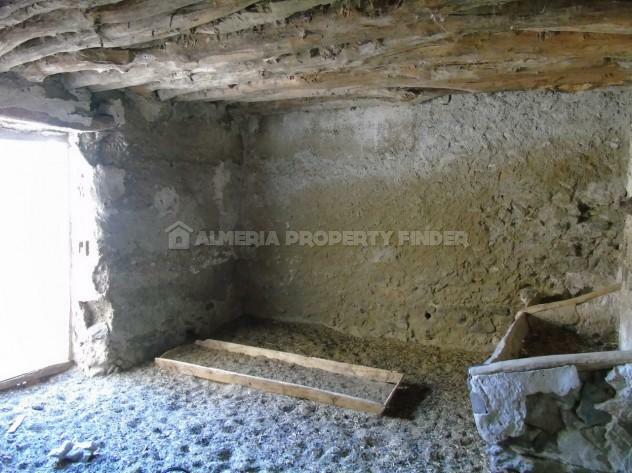 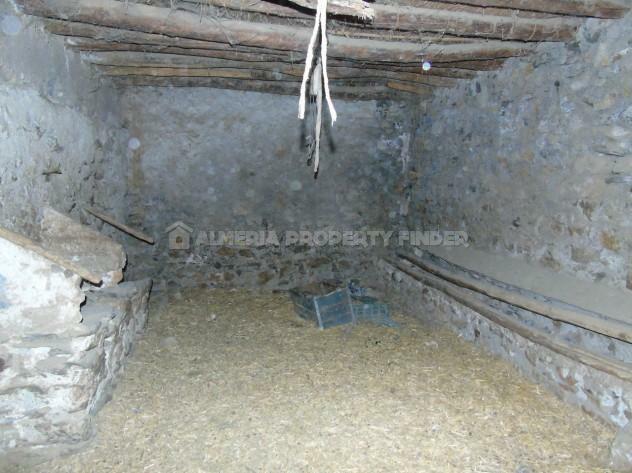 One of the larger rooms is in poor condition and one has been part renovated. 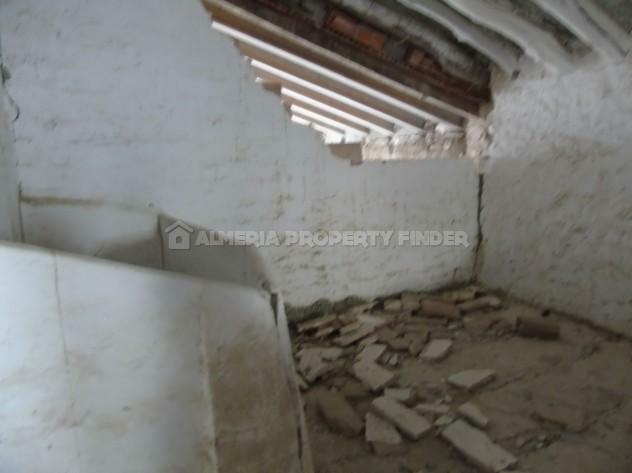 The first floor could be converted to create a landing area, two double bedrooms and a bathroom. 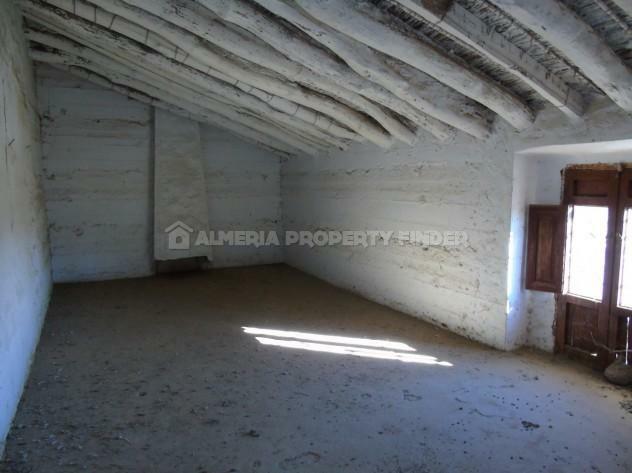 To the side of the house, a passageway leads to two large animal rooms and a small courtyard. 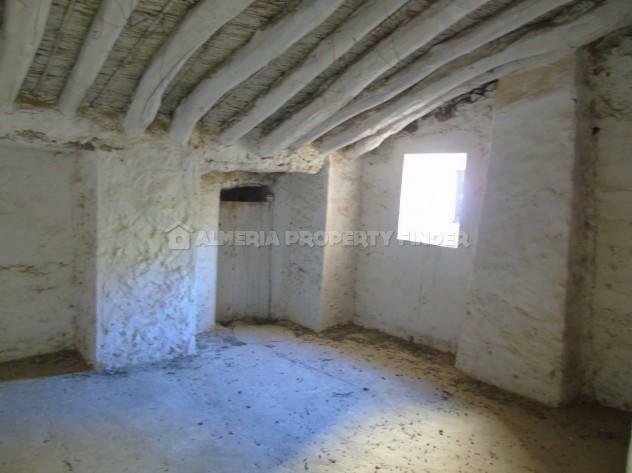 To the front of the house is a garden area and a large garage with fireplace and a large storeroom to the side - this could be converted to a self contained guest annexe. 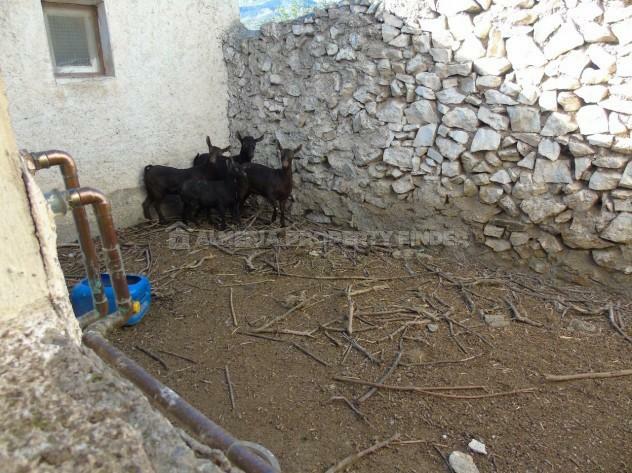 A slope from the garden leads up to an era (threshing circle) which is half owned by the property, and a water deposit. 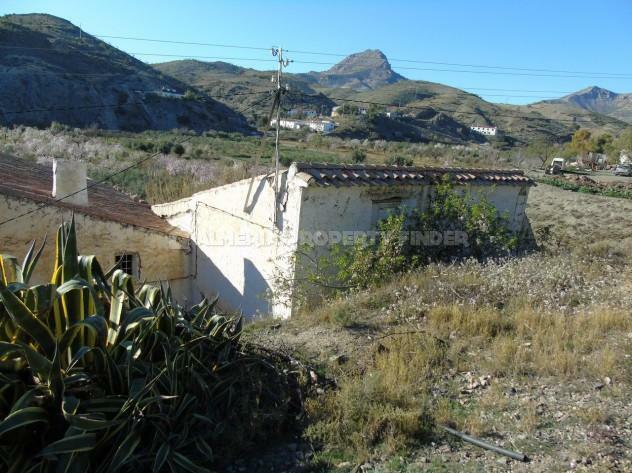 The property has rights to water from Saliente and mains electricity is connected. 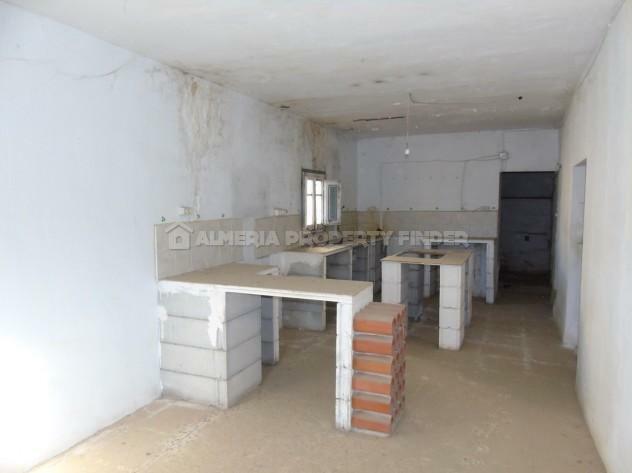 Telephone & internet are also available for connection.